This book is super charged with inputs from Ric Shreves, a renowned consultant on web applications. He has published few other titles too and is considered as one of the most popular tech-authors around the globe. Ric has been involved in making websites from the era when concept of SEO started. This book, “Joomla! Search Engine Optimization” is equipped with lessons to make a person eligible to create search engine optimized websites on Joomla!. Every chapter of the book begins with a concept of search engines. It is obvious that search engines allocate page ranks and search results depending upon few algorithms. Ric emphasizes upon these points. By the end of each chapter, the reader gets to know about a particular functionality of the search engines. Mostly keywords are concerned in SEO. This book helps in finding most searched keywords and hence to optimize the contents of the website so that the web presence would be identified. Developers are just induced to make a website that would make more people to view it. Starting from planning to execution of the best plan; this book would guide through step-by-step approach to make the best practices ever. As said earlier, this book helps in finding right combination of applications. Those applications would not only compatible for the Joomla version or the website, but also compatible to each other too. To make the best link building strategy, this book would help the learners to win over Google and Bing Webmasters. The important tips that are provided in this book would improve the SEO of a website and make it impossible to miss. 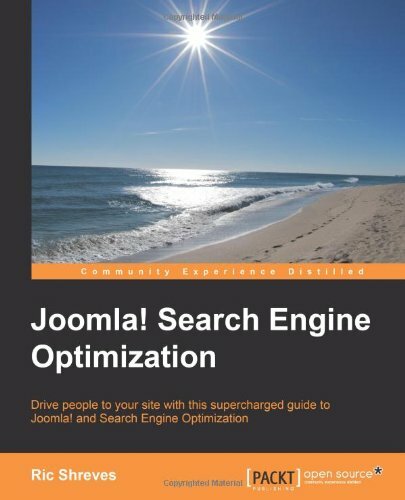 So, if you have a website designed in Joomla then going though this book would benefit you in a number of ways. Buying the book “Joomla! Search Engine Optimization” is quite easy as it is available in several online book stores. Joomla is an open source CMS or content management system. The popular book, “Joomla! 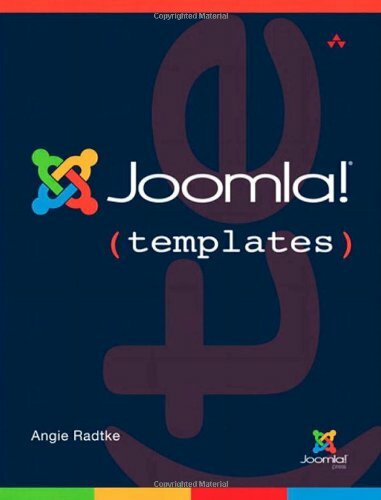 Templates” written by Angie Radtke is a complete and authorized guide, informing readers about how to customize, to develop and to make template design with Joomla. Author Angie Radtke has taken extreme care to represent the concept upon which Joomla works with enormous examples, concise but brief texts. Every chapter begins with simple concepts and techniques and takes the reader to deeper levels gradually. The reader will find the texts attractive and even more interesting while moving ahead with the topics realizing the power of joomla templates and the wider scope of website development through this CMS. This book is different from other books on one solid background i.e. the examples. The examples are not only simply demonstrations to do something with Joomla!, rather they guide the learner to apply them to the consecutive challenges mentioned at regular intervals in the book, giving the best practice ever. By the time one finishes all the chapters, he or she is deployed to produce templates fit for the world class websites. Learning the most difficult application design i.e. template design is so easy with guidance provided by Radtke. One more option is there in template design industry i.e. PSD to Joomla template. Radtke has given enough care to teach PSD to Joomla template through step by step approach. Usability and accessibility of templates in this CMS is shown in this book. Joomlashack University provides the easiest and fastest way to learn how to build a Joomla-powered website. It has Beginner and Intermediate Courses with dozens of lessons to keep you learning from the beginner stage and new lessons are added every week. 24-hour access to our entire Tutorial-Video library. Browser-based, professional quality Tutorial-Video viewing. Dedicated University forum for additional support. Joomla Training Classes in North America and U.K.
JoomlaTraining provides Classroom Joomla training in North America and the U.K. The classes are conducted by very professional Joomla Trainers and you will get 6 months of free support even after your course. Live Joomla Training courses are conducted at several places of USA and UK and their venue details are available on the website. You need not know about Joomla before attending the classes. JoomlaTraining teaches everything from scratch to more advanced classes such as template, coding, SEO and intermediate. JoomlaTraining also provides Onsite Corporate Joomla Training. Also, Online Joomla training available where you can get video lessons to learn Joomla from the comfort of your home. The online course gives access to Beginner class of 50 videos, Intermediate class of 50 videos, Template Design class of 50 videos, 100s of additional tutorials, Guaranteed same-day answers to all your Joomla questions, and much more. Part 1: Setting up your Joomla environment. Part 2: Advanced content editing and management. Part 3: Understanding components and using advanced Joomla components. Part 4: Understanding modules and using advanced Joomla modules. Part 5: Understanding plugins and using advanced Joomla plugins. Part 6: Understanding and modifying Joomla templates. 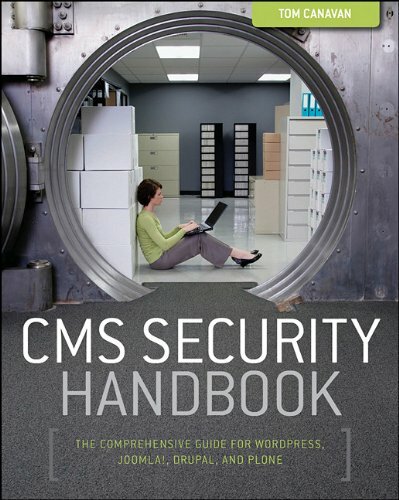 CMS Security Handbook is an essential reference for anyone responsible for a Web site built on an open source CMS. Web sites built on Joomla!, WordPress, Drupal, or Plone face some unique security threats. 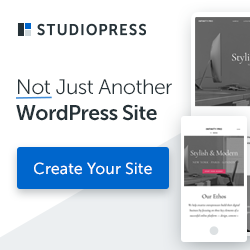 If you’re responsible for one of them, this comprehensive security guide, the first of its kind, offers detailed guidance to help you prevent attacks, develop secure CMS-site operations, and restore your site if an attack does occur. You will learn a strong, foundational approach to CMS operations and security from an expert in the field.